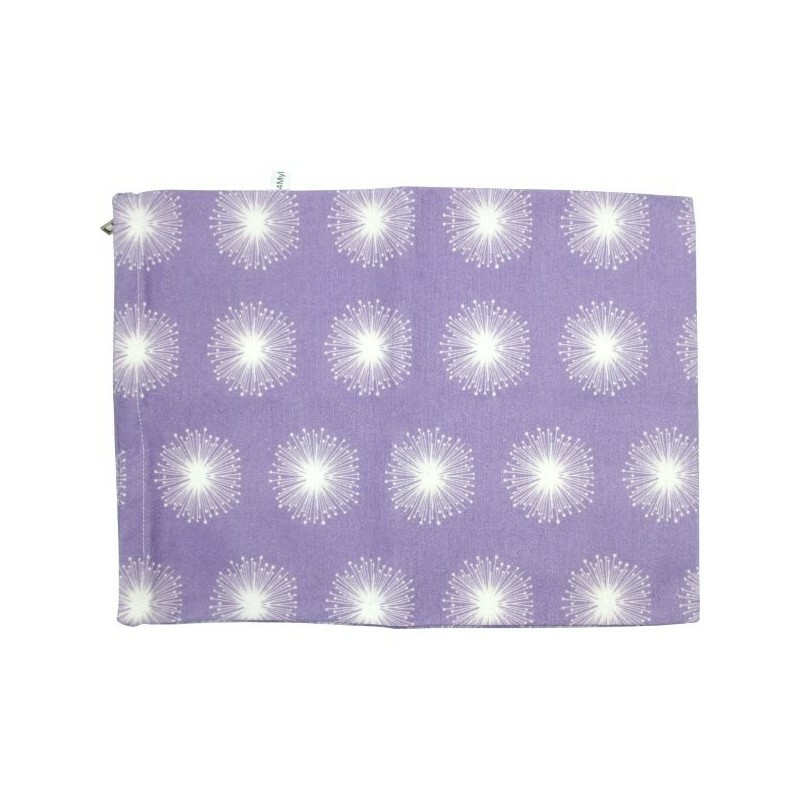 The 4MyEarth Bread Bag is designed especially for carrying and storing bread. Whether you bake your own or buy it from your local bakery or market, the bread bag reduces your need for single-use plastic bags by replacing them with a strong, long lasting food grade cotton bag that will keep your produce fresher for longer. 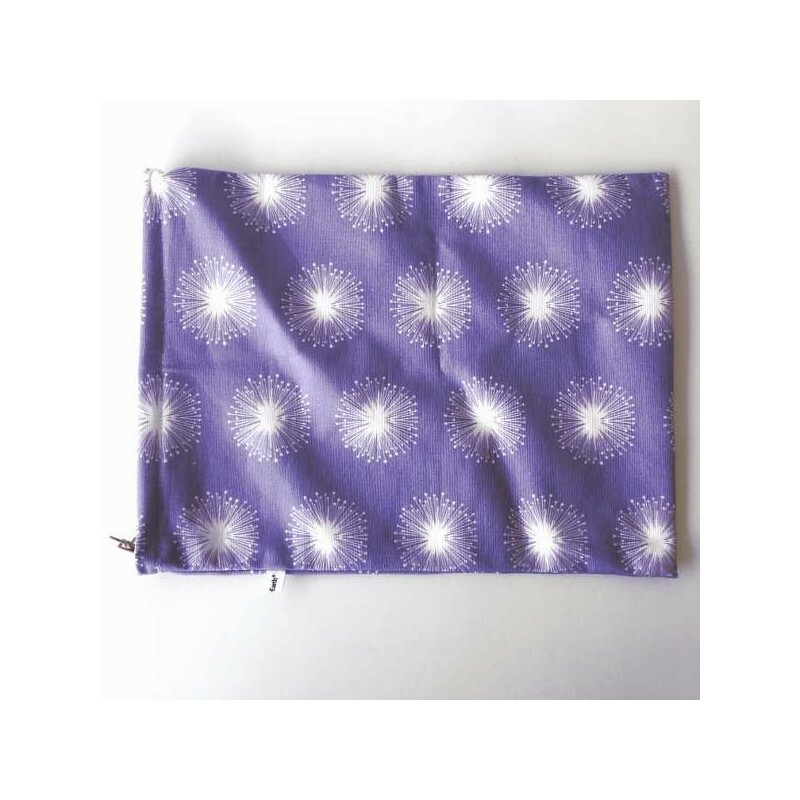 Purple Dandelion print. 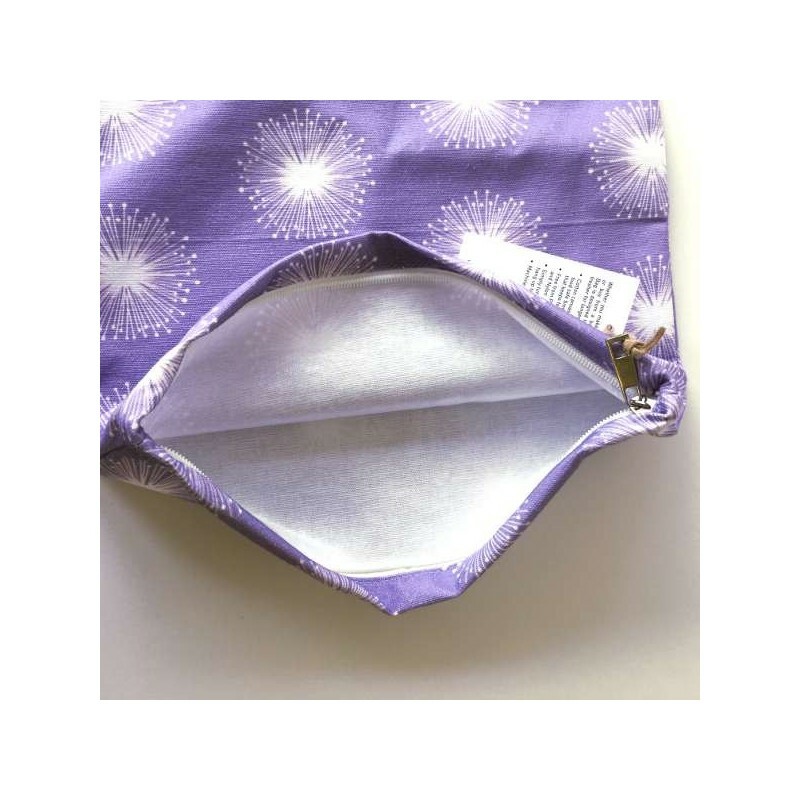 Reusable wraps and food bags help reduce the amount of plastic produced and the amount that ends up in landfill. Ethically made by a family business in India. Made from 100% Cotton canvas with zip closure. FDA approved food safe biodegradable coating. Coating decomposes without harm to environment. Bags can be put in the fridge or freezer. 30cm x 40cm / Coated cotton canvas. 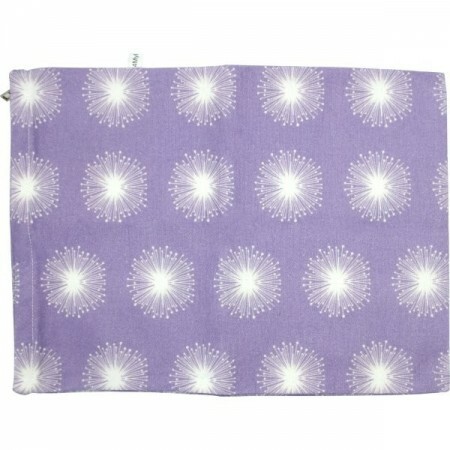 Browse all food wraps and covers. 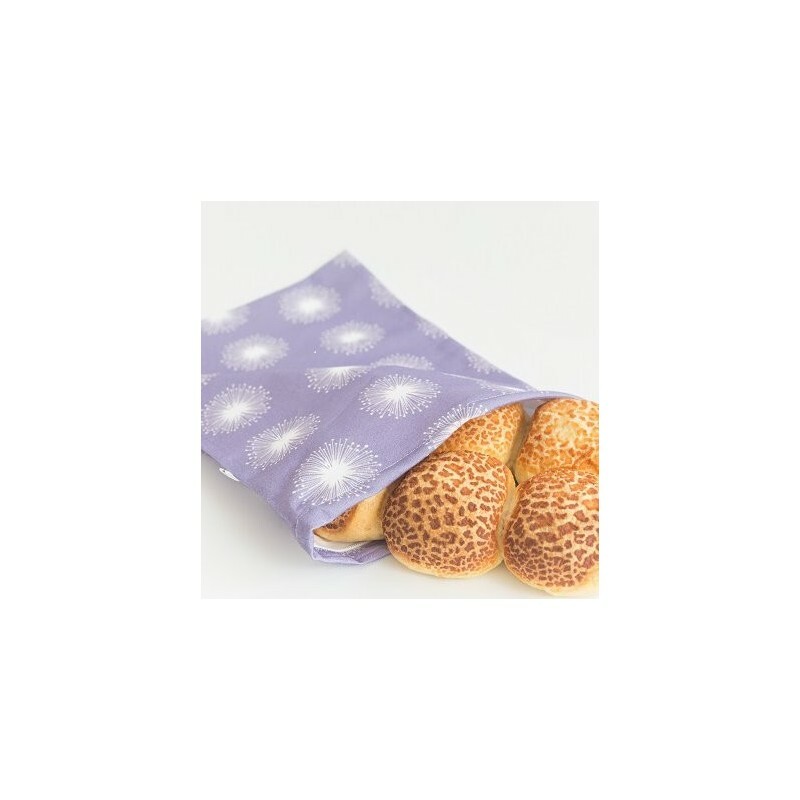 This is a good quality bread bag that is keeping my bakery bread fresh for longer. Its the perfect solution to reduce plastics. I can recommend this product. We had a bread bin for our home made bread but it wasn't quite sealed enough and didn't want to buy something plastic. This bread bag is perfect, we put our home made loaves inside of it, zip it up and then put it inside the bread bin and the bread lasts a lot longer. I wanted something easy to carry with, that I could use for bread so that i didn't have to use plastic bags. This is perfect, and a good size. I carry it with me whenever I go shopping.